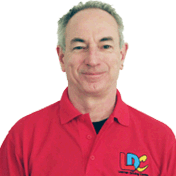 Hello my name is Steve Drury and I am a fully qualified Government Approved Driving Instructor (ADI). 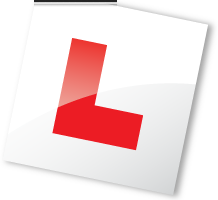 I can provide a range of driving lessons to suit your specific needs; from single hourly lessons to semi-intensive or a One Week Pass course. Also for those who have passed their driving test recently, you may wish to consider doing either a Pass Plus course or simply a few refresher lessons to build up your confidence. All lessons use the unique LD System of driving tuition. The LD System is an exciting way to learn to drive which saves you money by reducing the number of lessons it takes to learn. All LDC driving schools share a common aim - to provide the highest standards of tuition at the lowest overall cost. I am based in Shoreham by Sea, and cover the surrounding areas of Durrington, Goring, Hangleton, Hove, Lancing, Mile Oak, Offington, Portslade, Shoreham by Sea, Southwick, Steyning, Upper Beeding and Worthing. I operate my business under the LDC franchise which means I am governed by LDC's stringent customer care and tuition standards plus I am proficient in delivering the LD System of driving tuition. Also as an LDC driving school, I am able to offer LDC's state-of-the-art driver training products for the UK theory, hazard perception and practical driving test. Included in these products is the UK's best selling Theory Test software and the number one DVD-ROM software Driving Test Complete (as reviewed by Auto Express magazine). So if you are interested in taking driving lessons (singular, block or intensive) with a patient and friendly driving instructor in the areas of Durrington, Goring, Hangleton, Hove, Lancing, Mile Oak, Offington, Portslade, Shoreham By Sea, Southwick, Steyning, Upper Beeding and Worthing, please contact me.